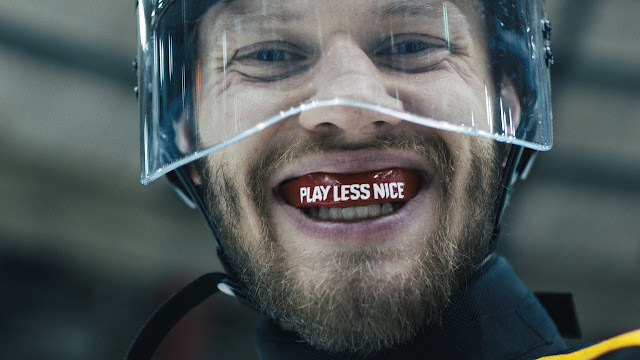 In Nike's 'Play Less Nice' campaign, Canadians play down the nice guy/gal role to show off their competitive side. Conceived by Weiden+Kennedy and filmed in Vancouver, BC by veteran director Keith McCarthy of Stink Films, the campaign features some of Canada’s top athletes like snowboarders Mark McMorris and Spencer O’Brien, elite 800-meter runner Melissa Bishop and Vancouver Canuck star Bo Horvat. The various creative spots starts with an everyday Canadian athlete going on a training run. While not in training mode, the Canadian man is polite and generous, having helped an elderly neighbour take out the trash. But once he begins his training routine, things become very different. The spot's premise is intended to show the stark difference between a Canadian's sport and non-sport personas. Wieden+Kennedy’s creative director Chris Groom notes that, in fact, the creative was guided by the campaign’s large media buy, with the goal of adding longevity to the campaign by keeping viewers engaged throughout their campaign run. See four of the nine spots below and see if you can find the subtle differences between each ad!